Since 1867 railroads have roamed through Colorado, and since 2006, this site has endeavored to cover the two well enough to make its author and his Maker proud. 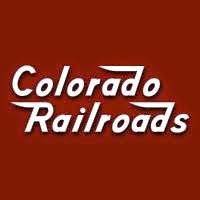 Colorado Railroads (CR) is a site for fans who like me can't seem to get enough of the railroads of Colorado. I began it in 2006 by blogging because railroads, especially those with history of operating in the Centennial State, have always been a passion of mine (along with aircraft and Colorado in general). Since then, CR has grown into a full hobby that demands my attention as often as it can be afforded. Readership has steadily grown, and, God willing, I hope to keep writing about Colorado and her railroads as long as I'm on the earth. I am not as connected as others with daily goings on, but I do write about stuff I find out. If you are looking for the latest news, I recommend Nathan Holmes' DRGW.net especially for Rio Grande fans. Otherwise, I have a list in the side column of all the different sites that keep track of news. Colorado Railroads is considered an independent media outlet that has no organizational ties to any corporation, aside from Google technical support as an end user. This site is entirely a labor of love, commercial-free, non-profit, hopefully without bias, and intended for educational purposes only. My name is Steve Walden and I'm a follower of Jesus Christ, a husband and a father of three mostly still-growing kids! I grew up with learning disabilities before they knew what to call them, and since the late 1990s, my body has been challenged by its own disabilities, so there seems to be a theme there. The challenge for me is not letting these struggles isolate me from my family and loved ones. I have always been interested in history and the "what-if's" in particular. Science fiction explores this to a good degree, but I've also found history is interesting enough in itself as an intellectual exercise if you know where to look. While factual accuracy is important, history to me is less memorizing dates like a lot of us did in school, and it's more of the interesting stories that enthrall us. Colorado is perfect for this. Speaking of Colorado history, I followed my family roots and my earliest Colorado ancestor was born in Denver at her family home, home births being fairly common in 1887. She married my grandmother's father, who had come west from Pennsylvania and farther back, Scotland. Others include a Walden who fought in the American Revolution, a lot of farmers, and a Carpenter from Germany. but I'm still figuring it out. My ancestors did a lot, but their lives don't make me great or even good. But they do make me curious about their stories! History happens every day in each of our lives. It's up to us to see how interesting it gets. Love greatly, risk wisely, and remember that choosing to get to know the One Who made you is the first, best decision you can make at any age on any day. Well, that was a bunny trail, but entirely worthwhile if you make that decision. If you do, or if you have a question for me, like "Why is that my first and best choice?" or "Aren't Christians a bunch of Ned Flanders and pious bigots?" or something similar, contact me. I welcome the connection with anyone with a genuine interest. I may not be online every moment, but I will get back with you. On a related note, if I don't write as often as others, bear in mind that my physical challenges limit my energy and such, and I can't get trackside nearly as often as I would like. Nonetheless, I hope that you enjoy what I put up. If you don't, photograph and write something on the subject and, if it checks out, I will put it up as a guest submission. John H. Hill lives in Denver with his wife, having retired from a railroad-related industry. When he's not wrestling with his sump pump or trying to keep his house from floating off, he enjoys working on his live steam engines and sneaking down to the tracks to photograph the latest BNSF Beer Run or the progress of FasTracks. Dave Straight remembers the days of steam better than most and has the good sense to make friends with locomotive engineers whenever he can. His experience with gas-powered switchers is much more extensive than mine, but I am pretty sure I edge him out with throwing switches using Visual Basic. His passion for railroading in northern Colorado is as strong as ever! 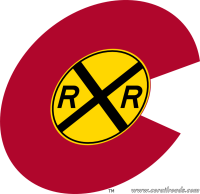 Persons interested in becoming a contributor to Colorado Railroads on a one-time or ongoing basis should contact CR using the e-mail below.